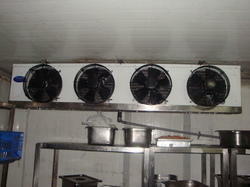 Leading Manufacturer of refrigeration machine from New Delhi. We are counted amongst the leading names in the industry, offering varied range of Refrigeration Machine that re technically advanced and are durable in nature. Our entire product range is corrosion resistant in nature and has high strength. We offer them in varied capacities and are in adherence with set quality standards. Looking for Refrigeration Machine ?